The foundation of a sound mind, body, and spirit is derived from what you eat – and what you eat is most delicious and satisfying when it’s in a whole, natural state. That’s why Larabar’s Chocolate Lovers bars only include simple, real ingredients. 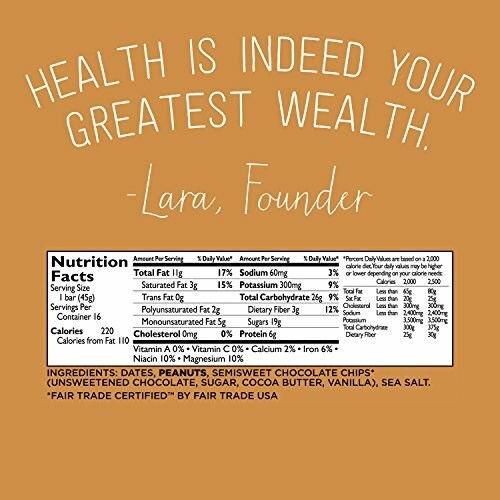 Larabar believes that it’s what’s at the inside that counts, and, with just a few ingredients each and every, their bars are beautifully simple and delightfully delicious. They’re kosher, dairy-free, gluten-free, and vegan. Minimally processed Chocolate Lovers bars are a wholesome, on-the-go indulgence you’ll be ok with eating. Join Amazon’s Subscribe & Save for as much as 15% off plus regular and routine deliveries and free shipping, all having the ability to change or cancel a subscription at any time.